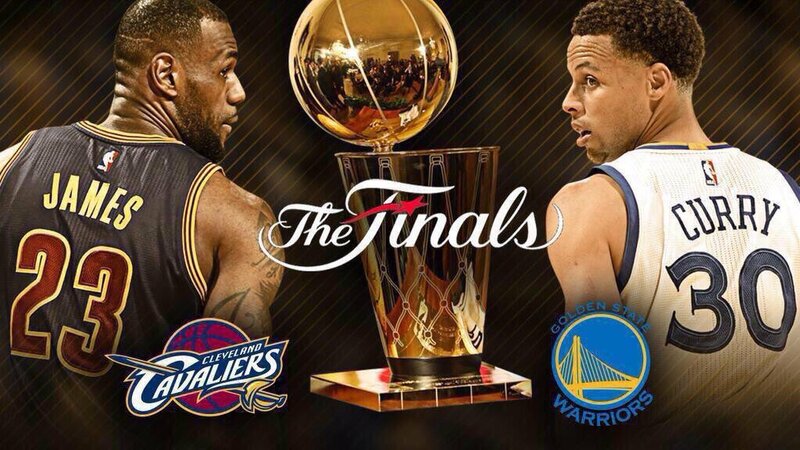 Game 1: Cleveland at Golden State Thursday, June 2 at 9:00 p.m.
Game 2: Cleveland at Golden State Sunday, June 5 at 8:00 p.m.
Game 3: Golden State at Cleveland Wednesday, June 8 at 9:00 p.m.
Game 4: Golden State at Cleveland Friday, June 10 at 9:00 p.m.
Tonight the NBA Finals rematch that has been a year in the making tips off, as the defending champion, Golden State Warriors host the Cleveland Cavaliers. After beginning the playoffs with a 10-0 start, the Cavs faced a little adversity in the Eastern Conference Finals by dropping two in a row in Toronto. 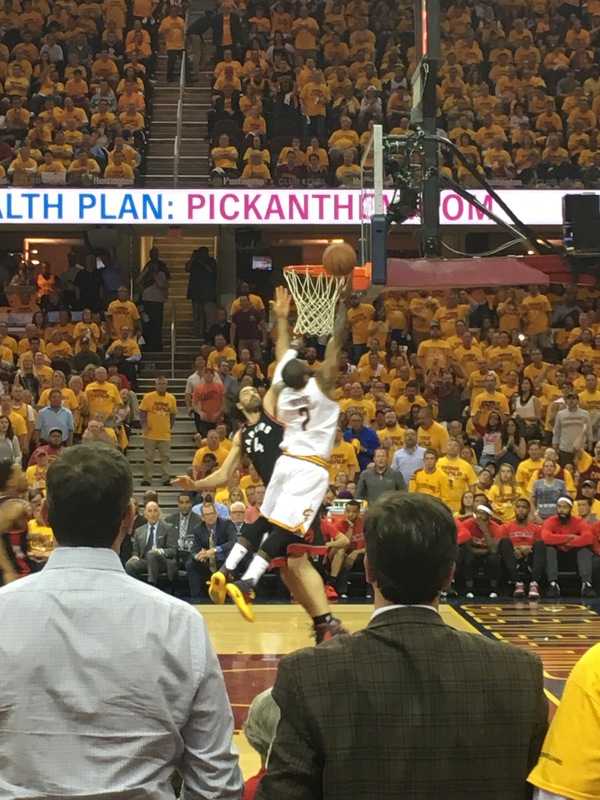 Cleveland responded with a 38 point drubbing of the Raptors in Game 5 at the Q and a close out win in Game 6. The Warriors rallied from a 3-1 deficit against the Oklahoma City Thunder to advance to the NBA Finals for the second year in a row. Last year, the Warriors beat a depleted Cavaliers team in 6 games. LeBron James was without Kevin Love and Kyrie Irving, but he still managed to have one of the greatest NBA Finals performances of all-time averaging 35.8 points, 13.3 rebounds, and 8.8 assists per game. This time King James has help as both Love and Irving are healthy and the Cavs bench is deeper. The key for the Cavaliers in this series is to play their own game and try to not replicate the Warriors playing style. The Cavs have already shown that they can hit the three ball at historic levels, but Golden State is still an elite shooting team. I expect the Cavs to not only contend with the Warriors from beyond the arc, but to also show that they can be just as dangerous when they attack the paint. LeBron James is playing in his sixth straight NBA Finals and he knows what the outcome of this series could do to his legacy. 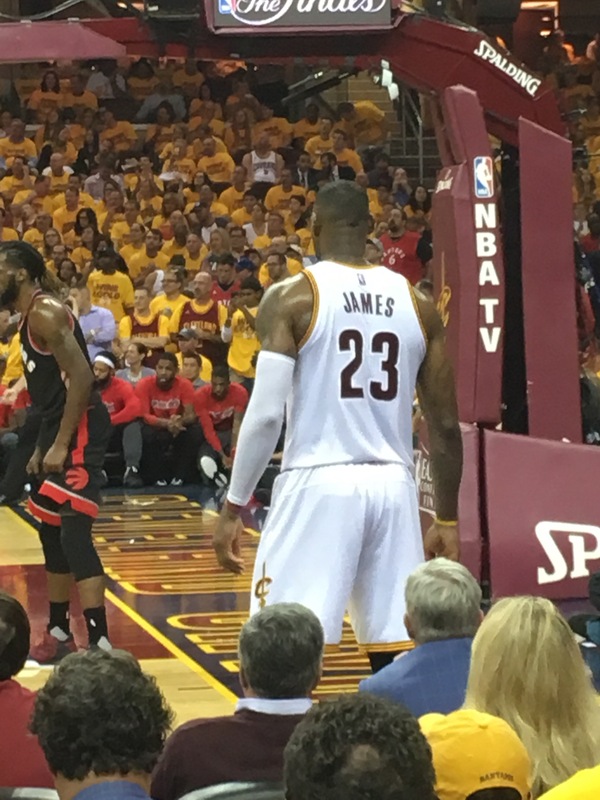 LeBron has played well throughout the playoffs, but you can tell that he has been conserving energy for this moment. I expect King James to have another historic series as he attempts to lead the Cavaliers to their first championship in franchise history. The matchup to watch for in this series is between point guards, Kyrie Irving and Stephen Curry. The two-time reigning NBA MVP, Curry battled injuries during the first two rounds of the playoffs, but he has shown up when it has mattered the most. He scored 31 and 36 points respectively in games 6 and 7 of the Western Conference Finals. Despite putting up big numbers, Curry is taking a lot of shots to get those points. In Game 6, he shot 9-22 on field goals, but he hit crucial baskets in the finals minutes of the game to give Golden State the win. Steph is still making the jaw dropping contested three pointers that he has become known for, but he is also missing shots that he should make, which shows that his knee is not at 100%. Kyrie Irving has continued to shine during the playoffs averaging 24.3 points on 48% shooting. Last year, “Uncle Drew” fractured his kneecap in Game 1 of the Finals and was sidelined until December 20. This year he is healthy and ready for redemption. There were times during this season where Irving was criticized for playing a one on one type game. This type of game was what Kyrie was focussed on early in his career, but over the last few months that has changed as he is focused on the bigger picture. You cannot beat Stephen Curry one on one and Kyrie knows that. Irving has shown some bright spots on defense and he will have to be on top of his game against Curry. Kyrie Irving’s success against Steph Curry will be crucial to the Cavs title hopes. The previous three teams to make it to back to back NBA Finals after losing the previous year have won. Those teams were the San Antonio Spurs (2014), Miami Heat (2012), and the Los Angeles Lakers (2009). LeBron James will be making his sixth straight NBA Finals appearance. James Jones has also made the Finals for the sixth straight season, but he did not play a minute in 2011 Finals with the Miami Heat. The Cleveland Cavaliers will win the NBA Championship in 6 games. The Cavs have quite the challenge ahead of them as the 73 win Warriors have the momentum coming off a 3-1 comeback in the Western Conference Finals. However, this Cavaliers team has become an offensive juggernaut. The Cavs are 8-0 in both the regular season and playoffs when their Big 3 of James, Love and Irving have scored 20 plus points in a game. LeBron has delivered in the Finals before and he will need Love and Irving to be at the top of their game for this series. Cleveland will also need strong contributions from starters J.R. Smith and Tristan Thompson, as well as bench players Channing Frye and Iman Shumpert. The sharp shooting Warriors will go on many runs throughout the series, but the key for the Cavaliers will be to weather the storm and produce on the offensive end. The Warriors may be the popular favorite to win this series, but the Cavaliers are a team that is focussed and on a mission. LeBron said after Game 3 of the Conference Semi-Finals, “We’re a team that’s destined for greatness, and I really believe that.” King James just may be right as his Cavaliers are four wins away from delivering Cleveland its first professional sports championship in 52 years.